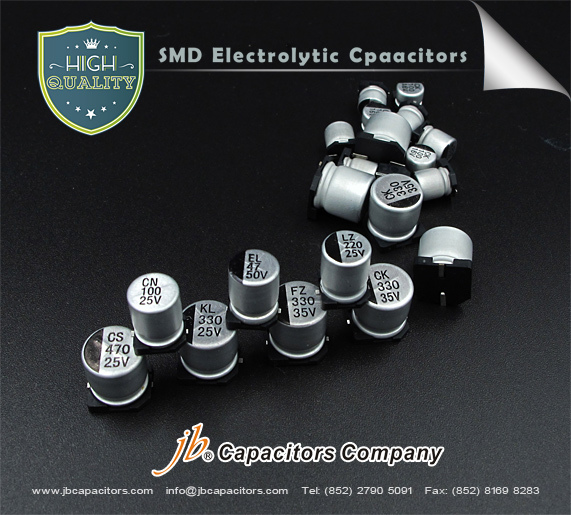 jb capacitors offers high quality product of SMD Aluminum Electrolytic Capacitors, with competitive prices and reliable customer service. Should have any possible inquiry, please be free to send us your RFQ, let's help you cost down. Great thanks. 1.Chip type, operationg with wide temperature range -40"C~+105"C.
Comply with the RoHS directive.